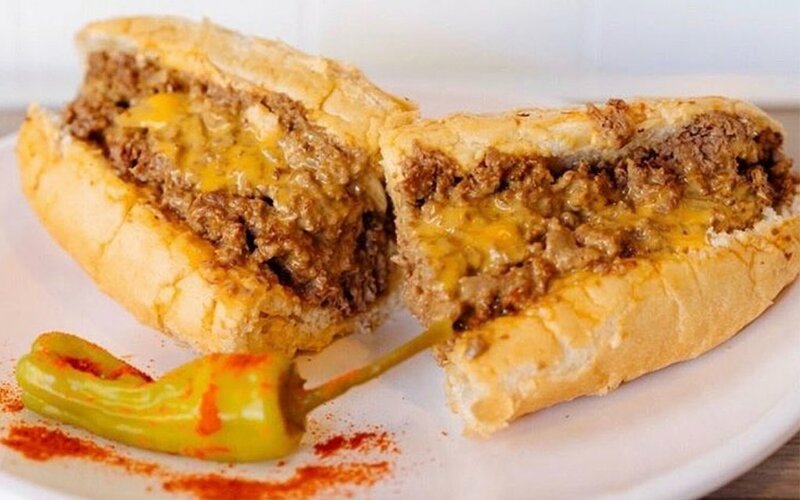 We dodged a steak-shaped bullet when the folks behind Wagyumafia changed direction and delivered their $180 wagyu steak sandwich to New York instead of S.F. Because no one’s shelling out that kind of coin when they can eat some of the best steak sandwiches in the country for 10% of that price. 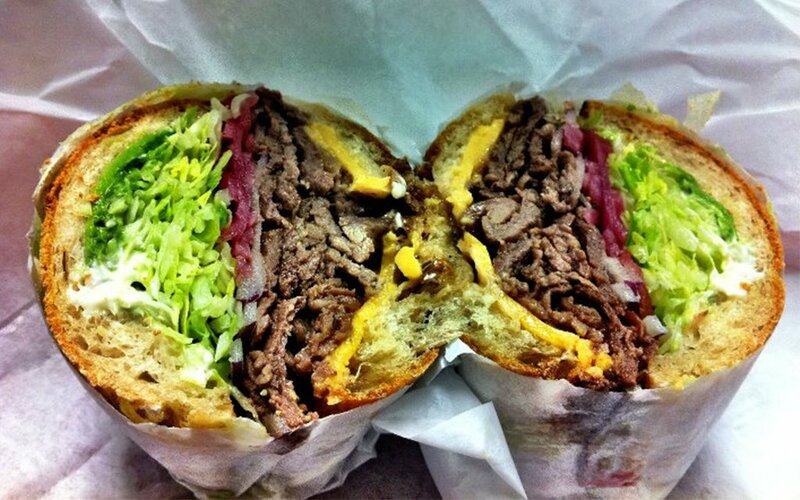 To wit: today we’re taking stock of the city’s five best steak sandwiches. 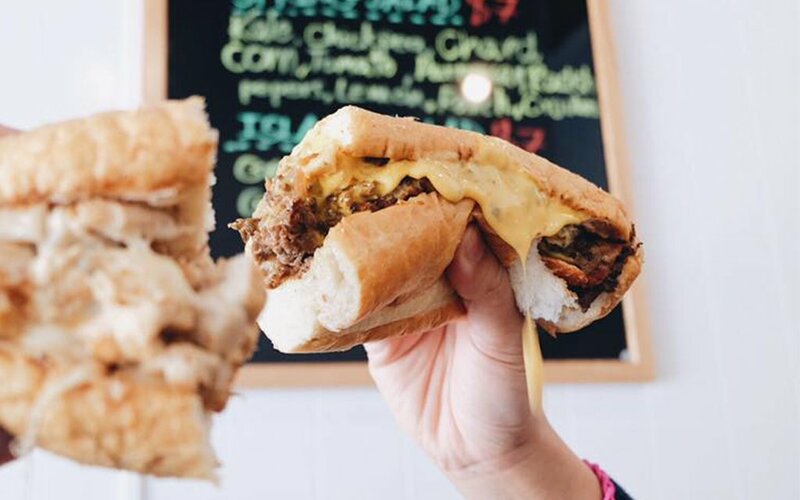 From an Amoroso-wrapped cheesesteak to a deli option with marinated rib-eye and cheddar cheese, you’ll walk away satisfied. In brief: Maybe you watched the Super Bowl here? Jake’s Steaks is so Philly that though the bar is on Buchanan Street, the walls are adorned with photos of the City of Brotherly Love’s Boathouse Row. 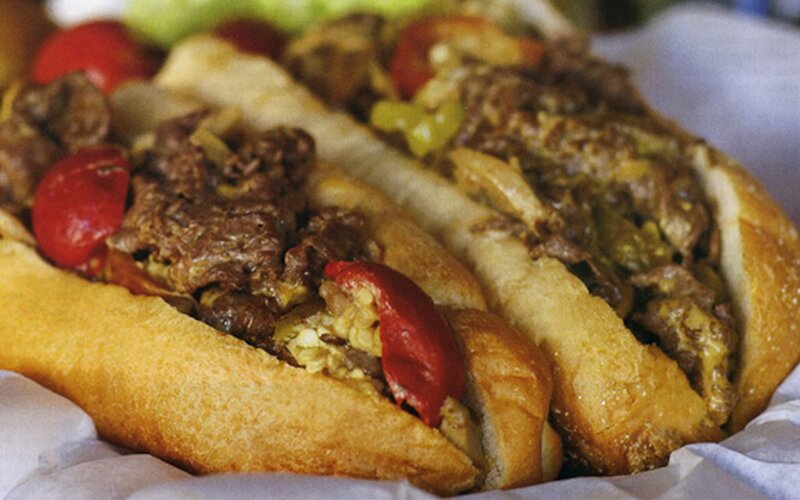 The cheesesteaks, meanwhile, are adorned with Amoroso rolls, baked in Philadelphia since 1904. 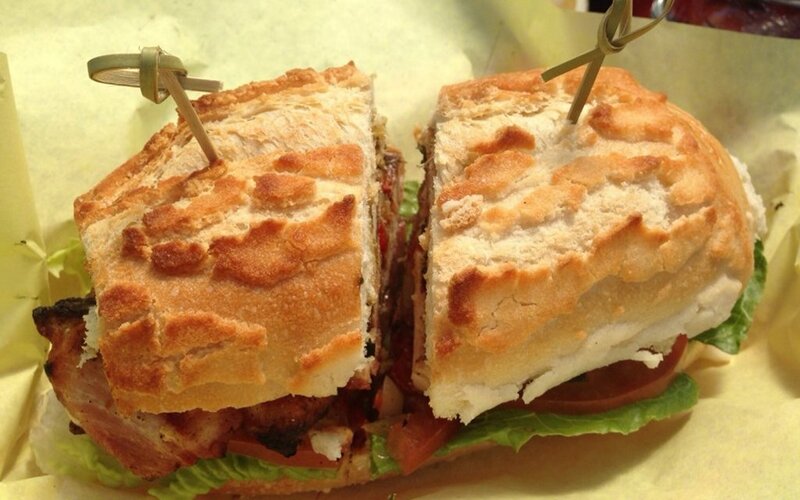 In brief: As a Philly native, the idea of a “California Philly” feels extremely wrong: “Grilled chicken [what?] with American cheese, grilled onion, mayo, tomato, avocado [what to all? ].” So order the Classic, and consider the garlic fries a nod to regionality. 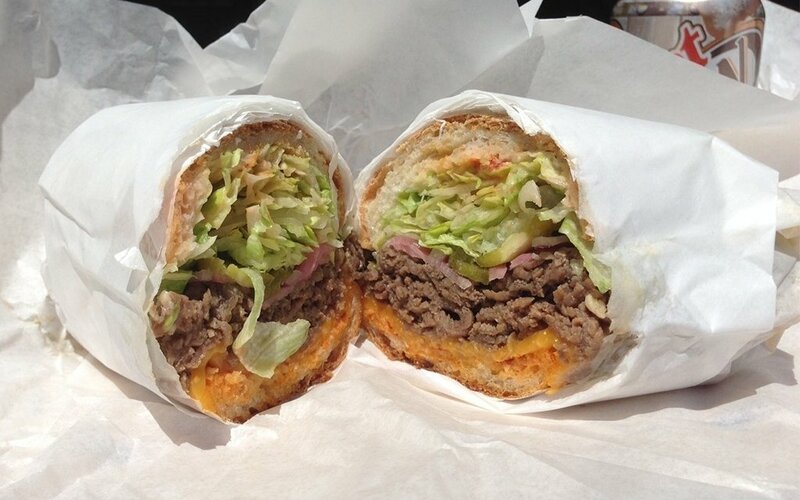 In brief: Order ahead at this unassuming but stellar (and often packed) spot near Dolores Park. 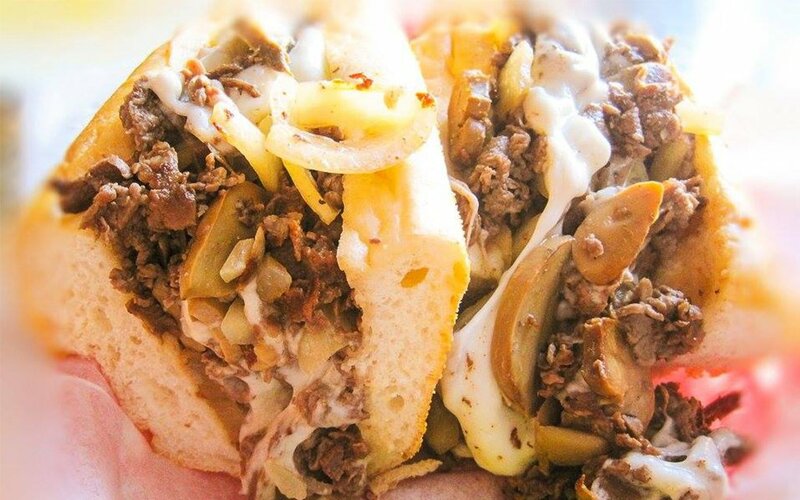 No less an authority than NPR called Rhea’s Korean-style steak sandwich, with rib-eye steak, cheddar cheese, red onions and more,they call it “a well-educated Philly cheesesteak.” (Rude.) We like it mild; you might want the spicy. In brief: Pencil in lunch at Bun Mee’s FiDi location — you’ll be ordering the appropriately named “Juicy Steak,” with grilled flank, lime-pepper mayo, lotus root relish, shaved onions, pickled carrots and daikon. In brief: If you’ve ever been to Buenos Aires, you know that few cultures revere steak as they do there. 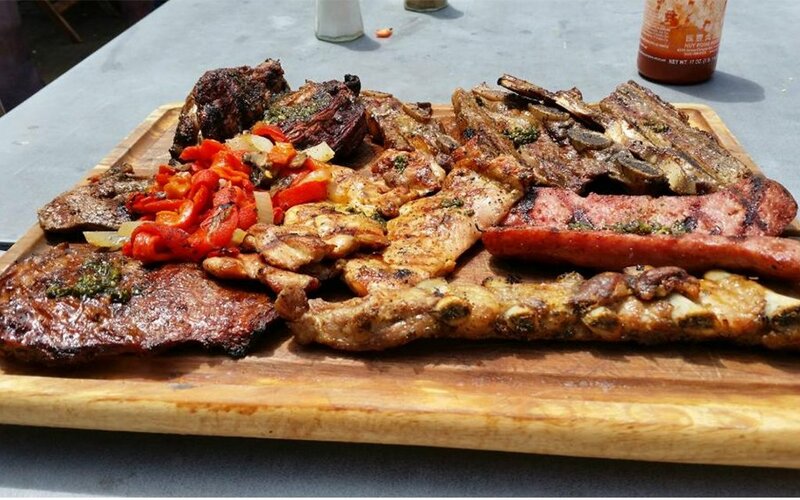 So should you find yourself near Fisherman’s Wharf, do yourself the favor of stopping by this straight-outta-Argentina food truck. It doesn’t sound like much — it’s served with lettuce, tomato, etc. — but it’s prepared to perfection.